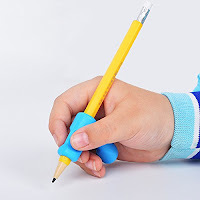 Many times kids who struggle with handwriting problems or challenges need some handwriting accommodations in order to complete written work in a legible and efficient manner. 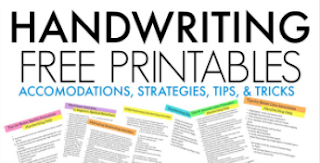 The handwriting strategies listed below are handwriting accommodations that can be used in a variety of classroom settings or in the home. 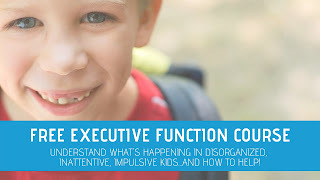 The compilation of instructional ideas and handwriting accommodations may be trialed and presented by therapists, teachers, or parents, or anyone who works with kids who struggle with handwriting. 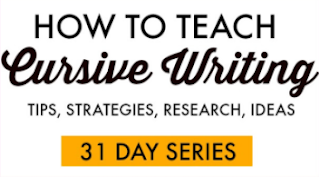 Handwriting accommodations ideas and strategies should be presented in a fun manner and as a tool for promoting independence. 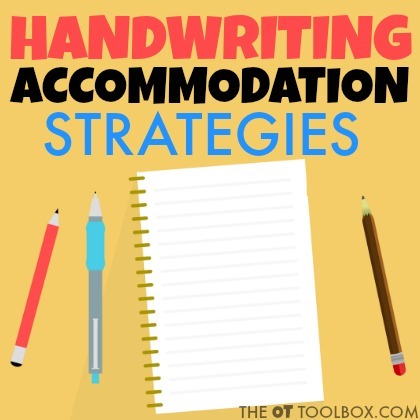 These handwriting accommodations can be used across the curriculum or in individual settings depending on the child's particular needs. Remember that every child is different. 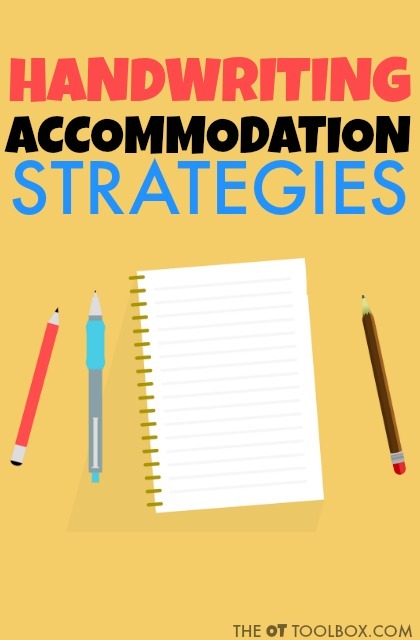 What accommodation or strategy works with one child may not work successfully with another child who presents very similarly. The trick is to try the accommodations over a period of time. Don't give up if the accommodation doesn't immediately cure any handwriting struggles. Trial and keep track of responses. Then, move on to another accommodation after a period of trial. Fill in the blank worksheets- Fill in the blank form to limit the required hand writing tasks. Students can use an app to scan worksheets onto a tablet and type in the responses. Use adapted handwriting paper such as color coded paper. Trial use of bold lined paper. This Christmas modified Handwriting Paper can be a big help this time of year. Practice and writing using color changeable markers to address letter formation and motor planning needed for letters. 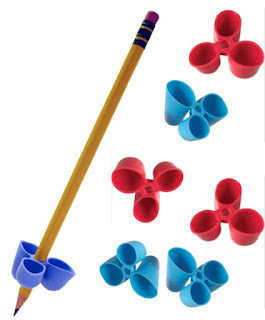 Use manipulatives such as magnets to write answers to problems and written responses. Use a dry erase marker and whiteboard for written responses. Modify a worksheet by using multiple choice answers rather than writing out lengthy responses. Students can write using large graph paper with boxes for individual letters. Trial use of spacing accommodations such as highlighted margins. More spatial awareness tricks can be found here. 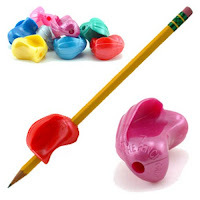 Try using a sensory tray or writing manipulative tray for letters for students to respond to multiple choice problems. Ufe a sheet of his foam crafting paper under written work for feedback in letter formation and line awareness. Use a computer for spelling test and vocabulary test. Teach students to use graph paper for copying one letter/number per square. When copying from a book, use a copying tool such as a folded piece of paper to line up with the work. Can also try an index card with a cut out "window" for copying to reduce distracting information. You will find more strategies to address spatial awareness here. Require single word answers or use magnetic alphabet letters on a desk with a cookie sheet for single answer problems. Answer questions verbally or ask another student to transcribe written work. Provide adapted spelling test and vocabulary test using multiple choice problems where students can correct the can choose the correct answer by circling a letter. 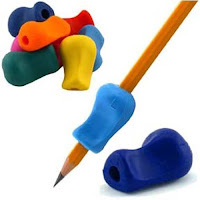 Use a highlighter for tests and worksheets where students can highlight the correct answer. Use a dot apps which can adapt worksheets into tablet form. Add a red or green dot to margins to help students identify starting and stopping points for writing. Try using letter stamps for responses on worksheets. Use a handheld recorder to copy notes in older grades. 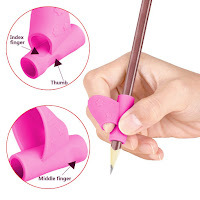 Trial use of a gel pen to reduce friction on the paper with the traditional lead pencil. Teach students to write into boxes formed for the size of individual letters. This is a strategy that works well for copy work. You may also be interested in the free printable packet, The Classroom Sensory Strategy Toolkit. 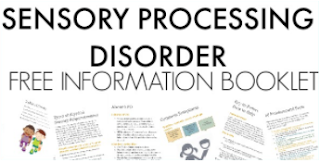 The Classroom Sensory Strategy Toolkit is a printable packet of resources and handouts that can be used by teachers, parents, and therapists. 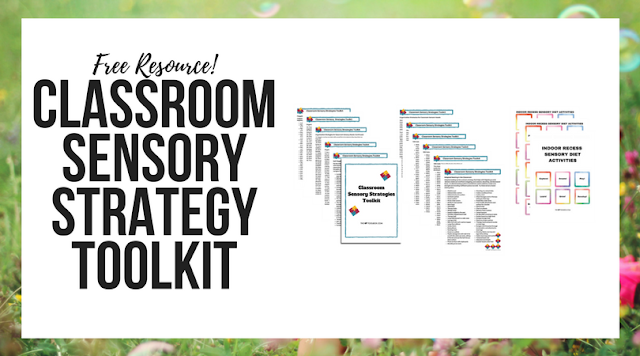 Whether you are looking for a handout to explain sensory strategies, or a tool for advocating for your child, the Classroom Sensory Strategy Toolkit has got you covered. And it’s free for you to print off and use again and again.